The highest hurdle a sequel must jump in order to gain my approval is this simple question: does the film make a strong case for its own existence? This is a pretty rare occurrence, especially outside of genre fare, made increasingly difficult in a cinematic landscape wrought with cash-grab franchises. So imagine my surprise when that hurdle was cleared easily by The Second Best Exotic Marigold Hotel. Marigold 2 (as it will henceforth be referred) picks up pretty much where we left off, with our group of English seniors now comfortably living in the titular hotel. The manager, Sonny, once again portrayed by a delightfully manic Dev Patel, has been working with Muriel (Maggie Smith) to procure American investors to fund the hotel’s expansion into a franchise. An undercover inspector is being sent to the premises to decide whether or not this would be a smart investment, and Sonny is a wreck trying to please the inspector (Richard Gere) while preparing for his own upcoming wedding. The romance between Evelyn (Judi Dench) and Douglas (Bill Nighy) is beginning to bubble, while the relentlessly horny Norman (Ronald Pickup) fears he may have put a hit out on his girlfriend Carol (Diana Hardcastle). Madge (Celia Imrie) is juggling a bevy of potential suitors, while trying to keep the swanky Viceroy Club, of which she is now a manager, out of the red, and a handful of side characters are scattered about with minor stories of their own. Much like the original film, Marigold 2 is a bit overstuffed. Trying to juggle the individual stories of about a dozen different characters is no small feat, but despite its excess, the charm of the proceedings is more than enough to make it palatable. Add to that a script that, despite my preconceptions about the elderly sense of humor, has some very quick witted exchanges and even some edgier moments. While there is a lot of chatter about the wisdom of old age, the ability of humans to adapt to change, and the power of love, the film is never preachy, and much like its predecessor, deftly avoids schmaltz. Perhaps the biggest asset is also the biggest downfall, while the first film was based on a novel, Marigold 2 is not. As a result, Ol Parker’s script has the opportunity to spread its wings and have some fun without having to commit to any source material. However, this also leads to a bit of short sightedness when it comes to realism. For a movie whose central plot line is all about the hotel needing money, there certainly seems to be a bottomless pit of funds available to Sonny. Even the ending, which I will not spoil, is sort of a deus ex bank accountica, which defies explanation, and is almost too convenient to work in a narrative sense. Luckily, by the time the movie wraps up, my tear ducts were welling up and my heart was warm, so logic be damned, I won’t nitpick. Plus, once you throw a Bollywood-style dance number on the table, you have my approval (of all the morals about aging and the passage of time crammed into this movie, my biggest takeaway was that if I die before partaking in a Bollywood dance number, I will not have truly lived). The Second Best Exotic Marigold Hotel is a charming, delightful movie that you can take your mom to see without fear that you’ll spend the entire time rolling your eyes. It is smart, funny, and tremendously beautiful to look at (seriously, if you don’t want to sojourn to Jaipur after watching this, you’re likely dead inside). The cast is phenomenal, the direction is strong, and the messages of love and hope are just so durned nice that to feel anything but warmth seems impossible. 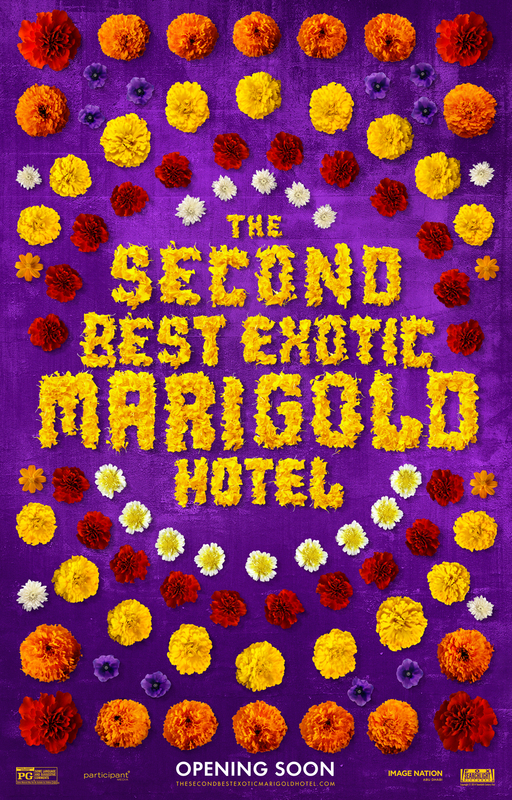 The Second Best Exotic Marigold Hotel opens today in Philly area theaters.